Self-driving cars will soon be delivering your pizza to your door. That’s right, the pizza delivery boy could be one of the early jobs to get taken by autonomous cars - and soon. 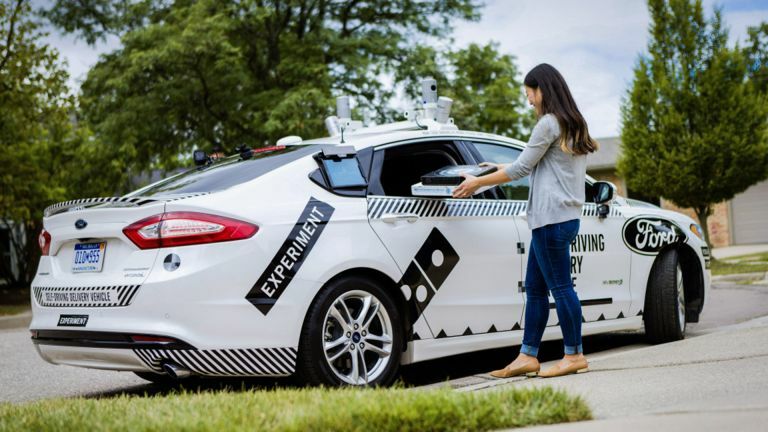 Domino’s has teamed-up with Ford to test these self-driving pizza delivery cars. At the moment they’re being used in Michigan in the US but with a driver since it’s still in the testing phase. The important part to get right here is the final stages of delivery, says the company. Imagine your pizza arrives in an autonomous car. Then what? You’ll need to be alerted by the app that it’s outside. Then you’ll have to go out and get access to the car to take the pizza. At the moment the car features a screen and speakers which are being used to that let you open the rear window to get your pizza from a built-in “Heatwave Compartment” that’s keeping it warm and fresh. So when can you have your pizza delivered by a machine alone? The goal is to have this system up and running by itself as soon as 2021, in the US at least. With companies like Volvo claiming its cars will be self-driving on the roads by 2020 this goal doesn’t seem that unrealistic.